Without a doubt, some of the reasons are simple. Old line factories have closed, there's more automation in those that remain and foreign companies are building in right-to-work states. With all that working against them, it's understandable why membership in the United Auto Workers has fallen the last thirty years. Like the constant drip from a faulty faucet, the pool of workers from this once dominant union has been slipping away losing more than a million since its peak ... See More in the '70s. But don't cry for Bob King, the new UAW president. Elected merely a month ago, he knows the job in front of him and it's no easy task. Not only does he have to retain his current members, but reach out and recruit new ones. Just how he does that is one of the biggest challenges he'll face. But wait, don't forget about the questions surrounding The Detroit Three. How will the UAW deal with not only the success of Ford, but also the rebuilding at GM & Chrysler? 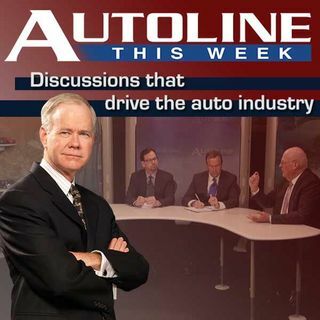 These are just a few of the tough questions that our all-star panel tackles on this week's Autoline Detroit. Joining John McElroy to discuss the future of the UAW are Sean McAlinden from CAR, Joe Szczesny from the Oakland Press and Robert Chiaravalli of Strategic Labor & Human Resources.